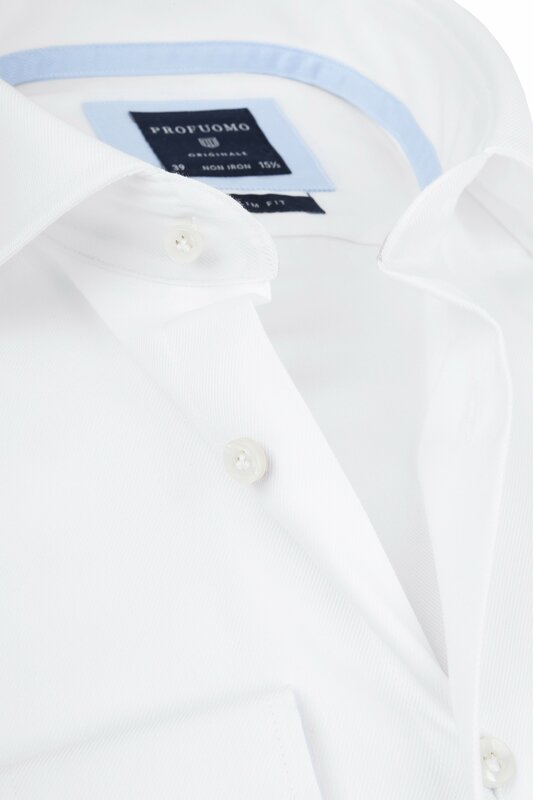 Dutch brand Profuomo ensures every man to make a well-groomed appearance! 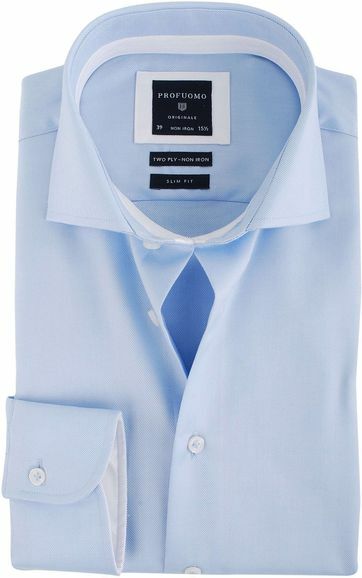 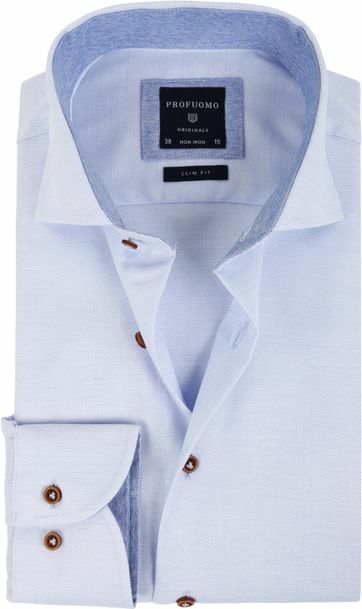 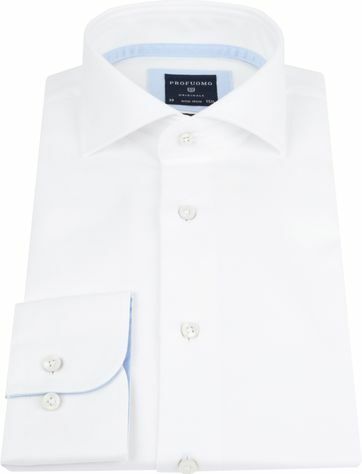 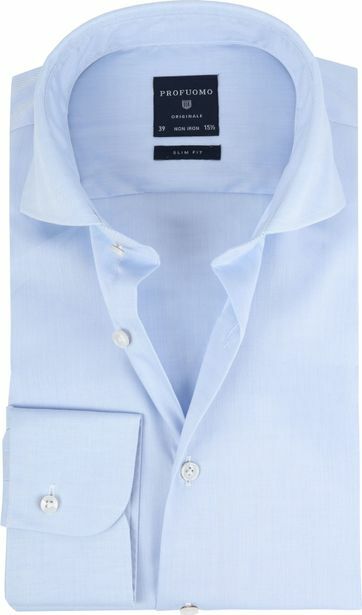 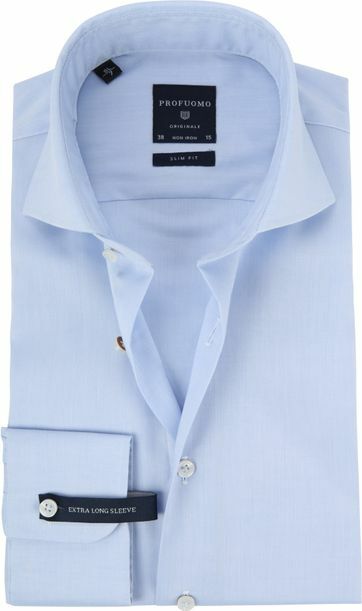 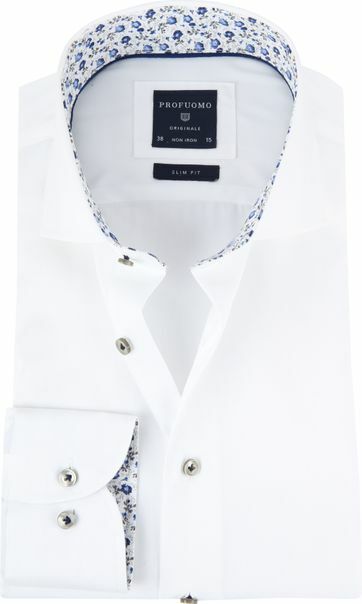 This white slim-fit Profuomo shirt is provided with a subtle blue contrast, which gives the shirt a playful twist. 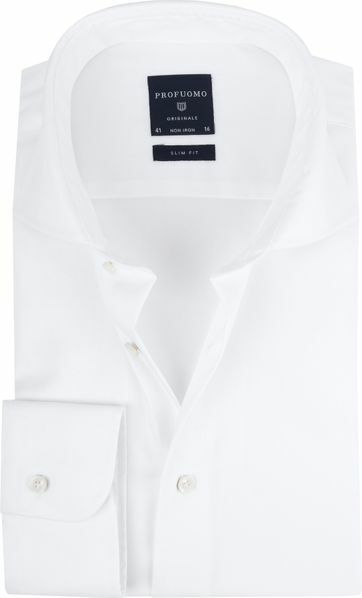 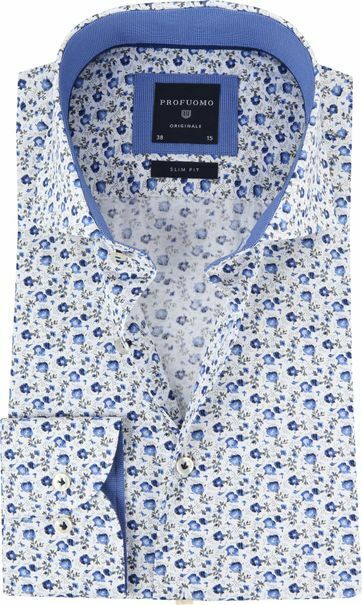 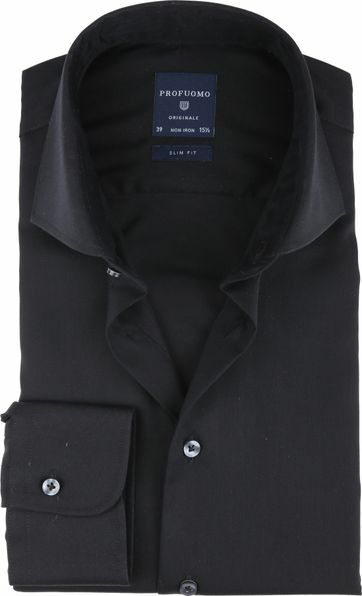 Therefore, the shirt can be easily combined with a jeans, as well as with a suit or blazer. 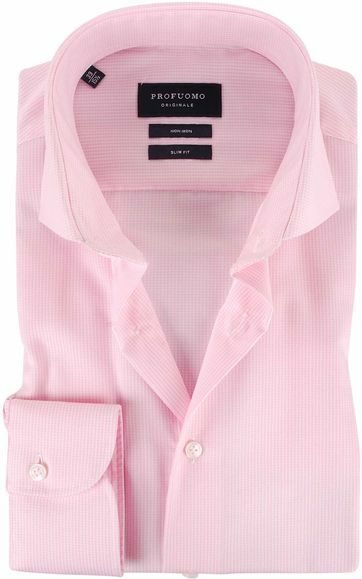 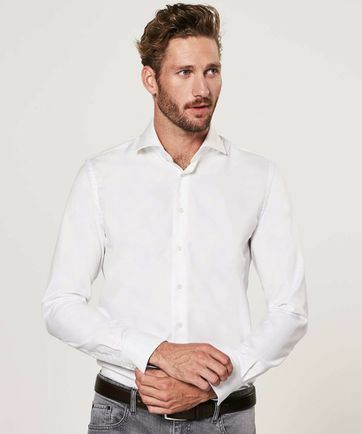 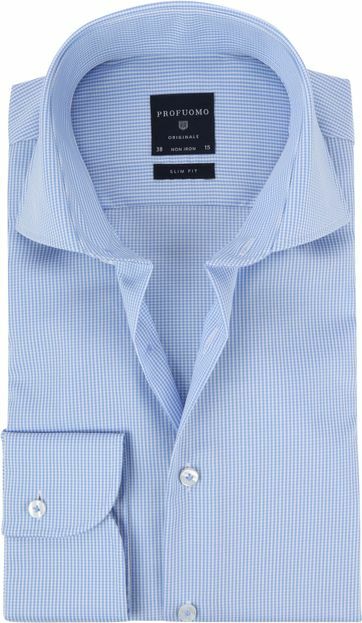 This slim-fit shirt is made of non-iron cotton and woven in a 2-ply twill construction, which creates a fine weave structure that feels softer on the skin. 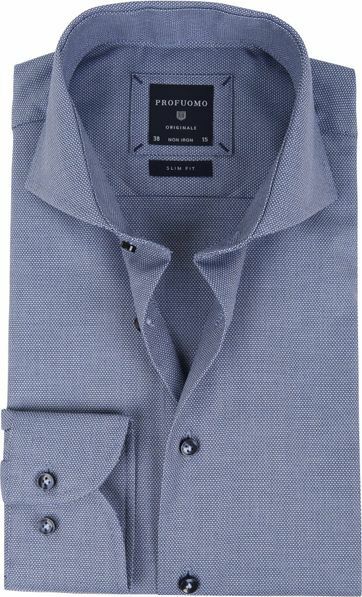 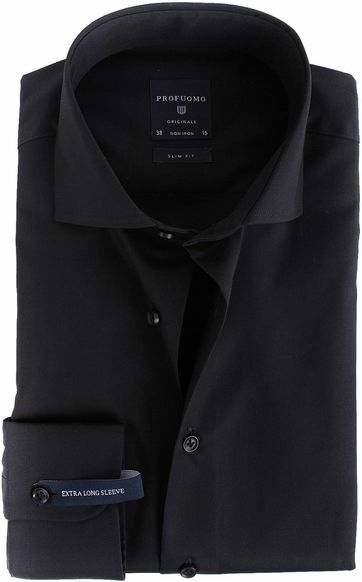 The shirt is slim-fit tailored to the shape of the body. 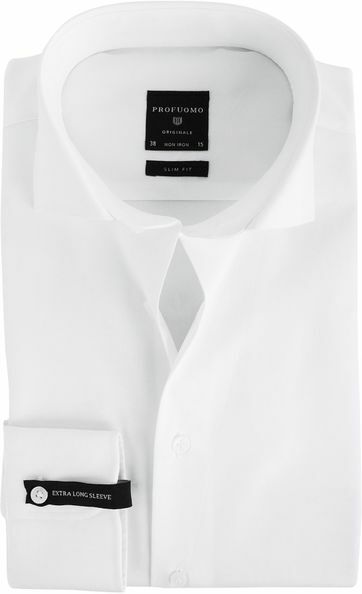 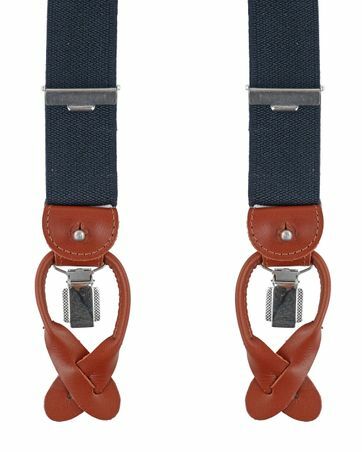 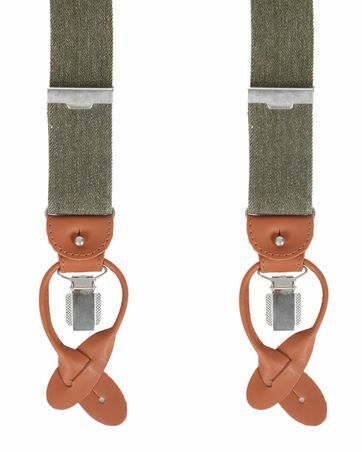 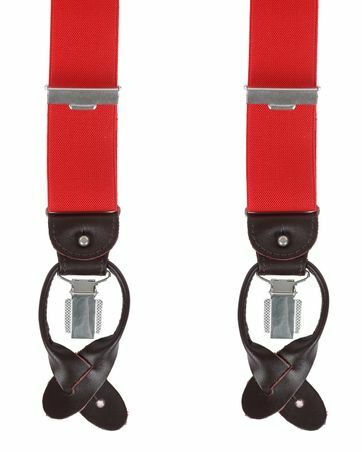 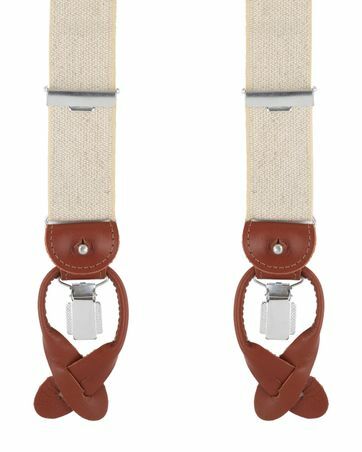 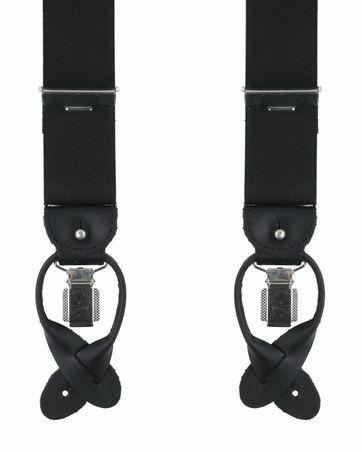 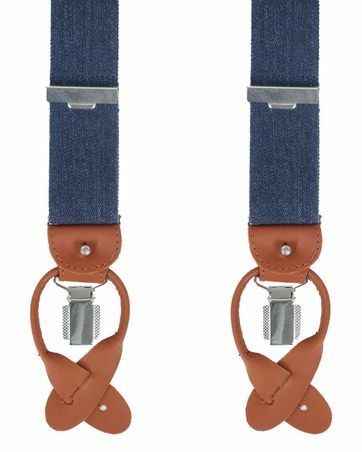 It comes with a cut-away collar and single cuff.